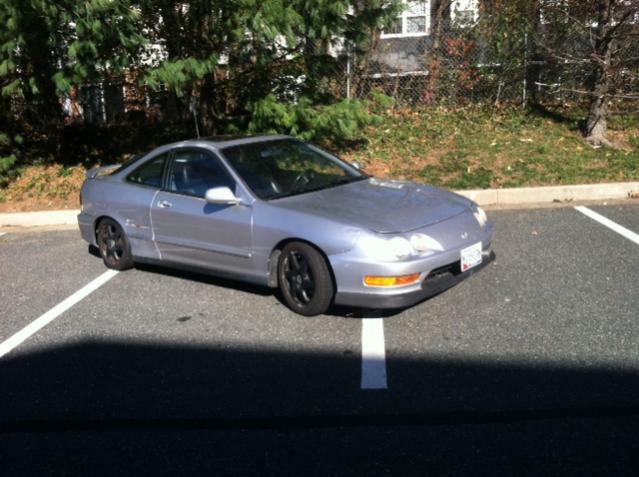 I am selling my silver 2001 Integra GS-R 2dr. The car is clean title, very original, few aftermarket parts. It has a no-name intake and magnaflow cat-back. The interior is in fairly good shape for the age. The black leather seats are in relatively good shape with no tears at all. It has 185k miles on the original engine and transmission. I have run mobil 1 full synthetic with OEM oil filters changed at 4k intervals since I've owned it (3.5 yrs, 30k miles). It runs and drives well. All body panels have the original VIN stickers except for the front fenders. It has served me well and I will miss it but I have moved on to another platform. I am selling it to buy a more practical daily driver for winter. I am FIRM on the price. It is priced very well for a clean title, strong running original engine/transmission GS-R. Only contact me if you are a serious buyer. Last edited by Jub; 12-05-2015 at 01:10 PM. Reason: Sold! 2001 ACURA Integra GS-R Original 95,000k Miles $4200 or can sell the SHELL complete! 2001 ACURA Integra GS-R Original 95,000k Miles $5500 Or Best Offer!